Generating and tracking leads, creating targeted communications, and providing customers with an outstanding lending experience are all necessary steps in achieving more new and repeat business and referrals. An easy-to-use yet highly efficient mortgage lead-generating CRM lets you organize your database and take advantage of all the benefits this technology has to offer. Most importantly, no matter what size your account, MGIC Elements includes a dedicated Account Manager and Customer Service team. Growing a successful mortgage business depends on efficiently managing your pipeline throughout the entire lifecycle. 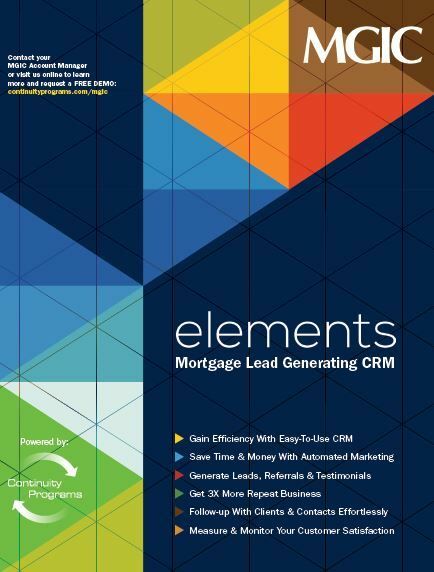 The right mortgage lead generating CRM helps you do that by amplifying productivity and making database management more effective. All of this will naturally help you retain your top producing loan officers. A reliable CRM solution lets you take advantage of all the latest technology and helps you provide clients with an exceptional customer experience. And that gives you a competitive edge against other mortgage lenders, no matter how large or small your institution may be. 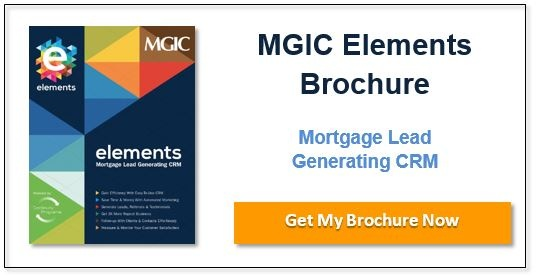 To learn more about MGIC Elements, download the product brochure here.